The cool thing about cannabis oil is that you can add it to pretty much anything. Any recipe that requires oil or butter will accept cannabutter or cannabis-infused oil. Cannabis oil is chock full of medicinal benefits, and adding it to your cooking is a great way to give your body a regular dose of this super beneficial food. Cannabis-infused edibles can take up to half an hour before taking effect. You must be careful about the quantities you consume, do not overeat if you don’t feel a buzz immediately. Don’t expect an immediate rush. THC D9 – This compound is the chief psychoactive agent and also has medicinal properties. Cannabidiol (CBD) – Devoid of psychoactive properties but rich in medicinal value. Amino acids – An impressive amino acid profile. The ingredients present in weed can be extracted by creating an infusion in oil or butter. Add weed to oil or butter and heat the mix as directed in your chosen recipe. 1. Choose marijuana wisely. The experience you seek depends upon the choice of strain. Do you want the buzz to last long? Do you want weed that will not interfere with your work? Are you seeking a mood enhancer? Growers can provide you with data on the cannabinoids, THC, and CBD in weed strains available with them. You can then calculate the ideal dose for your needs. To get an idea of the dose, assume that 80 of the THC and CBD get extracted. You may have to bake two or three batches of cookies before you can get the dosage right. Start with a low dose and work your way up to a tolerable amount. 2. Extracting cannabis works best with fats. This is because the chemicals present in weed are fat soluble. 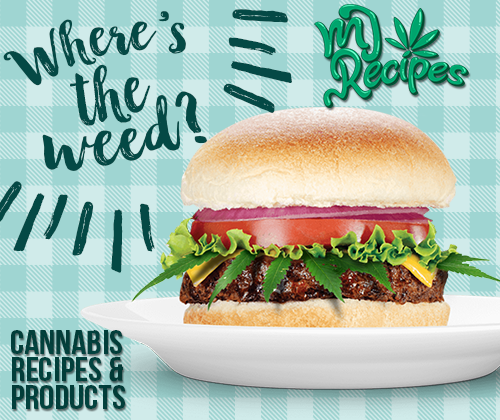 Choose butter, fat, and oil as mediums for creating weed-carrying or weed-infused dishes. 3. Do not use the microwave. Stay within 100 to 170 degree Celsius. 4 . You can experiment with the flavor profile by adding spices to the cannabutter. Avoid grinding cannabis too fine if you are not particularly fond of the herbal overtones that fine grinding results in. 5. Consume cannabis-laced foods in a cheerful and relaxed environment. Chill with friends. Let the first round that is served contain low doses. Wait for half an hour for the effects to kick in, and then move on to higher doses, if your friends and you feel like it. 6. Inform your fellow consumers that the psychoactive effects kick in after half an hour. 7. In any party, there are always individuals who react to even a small dose. They have a low threshold to THC. Move these people to a comfortable place and make them relax till the episode of paranoia is over and the extreme reactions subside. 8. Engage in some activity that gels with the kind of effects your chosen strain leads to. It could be music, a poetry sessions, jamming with the guitar, cracking jokes, contemplating life, or just sitting back and watching reruns of your favorite serials. 9. Feel free to drink liquor, tea, coffee, and aerated drinks. You’ll be fine so long as you don’t overdo it. 10. Snack on fatty foods. This will increase assimilation of THC and give a longer-lasting buzz. Stoney Appleseed is back at it again. let this one go low and slow.